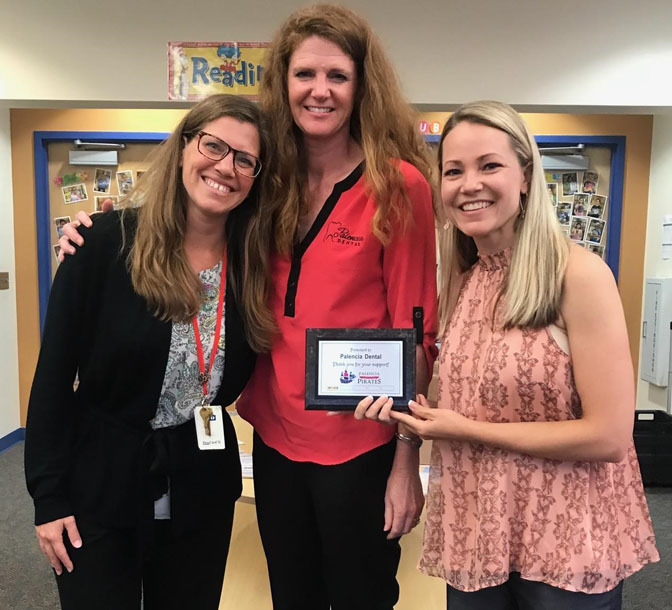 SAINT AUGUSTINE – Stephanie Kinsey, DDS, owner and founder of Palencia Dental has once again sponsored fundraising activities at Palencia Elementary School in St. Augustine with $1,000 as a Blackjack level sponsor. The Palencia Elementary School team, The Pirates serve as the theme for many school sports events and activities, and Parent Teacher Organization (PTO) campaigns. Dr. Kinsey has donated the same amount of funding since the school opened six years ago at 355 Palencia Village Drive. Dr. Kinsey also serves as title sponsor of the “Fore the Kids” golf tournament at the school. “We believe in helping our local teachers and students with extra funding to supplement programs in sports, the arts, music and theater along with supplies for academics,” said Dr. Kinsey. The dental practice continues to donate to many area non-profits as part of its annual giving campaign to help individuals and families in need. Dr. Kinsey has been practicing dentistry for more than 20 years. Her St. Augustine, northwest St. Johns County dentistry practice is dedicated to restoring and enhancing the natural beauty of one’s smile combining conservative and state-of-the-art procedures along with advanced dental medicine. She is a Fellow with The International Association of Physiologic Aesthetics (IAPA) and serves as a member and Fellow with IAPA’s founding organization, the Las Vegas Institute for Advanced Dental Studies (LVI). Dr. Kinsey graduated with honors in 1994 from the University of Colorado Health Science Center in Denver, Colorado. She was accepted into a General Practice Residency in Chicago, Illinois at the Illinois Masonic Medical Center where she was invited to stay a second year and serve as chief resident.